Operating since 2013, LakeBTC, or Lake Banking Technology Company, is a worldwide exchange that provides exchange services, trading services, online wallets and cryptocurrency merchant tools for businesses. It is one of the Big Four exchanges and is used to determine CoinDesk’s Bitcoin Price Index and is a member of other Bitcoin indexes such as TeraExchange. This LakeBTC review will take a look at everything you need to know about using the platform and focus primarily on their online wallet and exchange services. Find out how to get set up, any fees, the trading platform and much more in this LakeBTC review. Creating an account with LakeBTC takes just a few minutes and users can exchange and trade cryptocurrencies without needing to verify or provide ID as long as they only trade cryptocurrencies. That being said, LakeBTC reserves the right to request more information from you as a part of their KYC requirements if they see unusual activity on your account. Both individual and corporate accounts are available and the verification process is pretty standard when trading using fiat currencies. They will usually need some personal information, a photo ID, utility bill etc. Accepted fiat currencies: US dollar, Swedish krona, euro, Hong Kong dollar, Japanese yen, British pound, Australian dollar, Canadian dollar, Singapore dollar, Korean won, Swiss franc, South African rand, Argentinean peso, Brazilian real, Mexican peso, Indian rupee, New Zealand dollar, Indonesian rupiah, Thai baht, Malaysian ringgit, Turkish lira, Polish zloty, Norwegian krone, Danish krone, Czech koruna, Romanian new leu, Hungarian forint, Bulgarian lev, Croatian kuna, Bosnia and Herzegovina mark, Venezuelan bolivar, Icelandic krona, Nigerian naira, Ghanaian cedi, Kenyan shilling, Central African franc, West African franc. One of the best things about LakeBTC is that it offers services to a wider range of users than many other platforms and accepts a truly huge range of fiat currencies. Unfortunately, residents of China and the US are not accepted but as far as we can tell they are the only countries unable to use LakeBTC. Depositing and withdrawing cryptocurrency is simple. After creating a wallet by selecting the currency on your wallets page, you can then deposit funds into it. Simply scan the QR code or copy the wallet address to finish sending funds into your LakeBTC wallet. Depositing fiat currencies is also pretty uncomplicated. After creating your chosen fiat wallet, as you did for a cryptocurrency wallet, you can then select the method and amount you would like to deposit. There is a really wide range of deposit options so choosing one that suits you shouldn’t be an issue. Deposit and withdrawal options include: Bank wire transfer, SEPA transfer, Western Union, Pay Pal, MoneyGram, Cash, OKPay, Perfect Money, Payza, Skrill, Neteller, Leupay and CHATS. Apart from online wallet services, LakeBTC is a cryptocurrency exchange that allows users to purchase, trade and sell cryptocurrencies. There are several ways to do this on the platform. You can choose between OTC (Over the Counter), Exchange trader or LakeTrader. Each of these methods have their strengths and ensure that users of all experience levels and needs can trade easily on the platform. Exchange trader: This method is probably the most popular and very easy. Simply click on ‘Trade’, select the trading pair (eg BTC/ETH) and the amount. Here you can also select ‘Maker Only’ to create maker only trades which have lower fees. ‘Dark Pool’ can also be selected which is a type of hidden trading that is only available for larger trades, over 50 BTC. OTC: This is an alternative to the exchange trader and connects buyer and seller directly but there is not as much liquidity when trading OTC in comparison to using the exchange trader. LakeTrader: This in-browser app is aimed at experienced traders that want access to a more professional trading environment with chart and graph information, live data and one-click trading. Fees for fiat deposits and withdrawals are dynamic, depending on a range of factors including market, supply-demand, your reputation on the site, the amount, currency, payment method and more. The fee will, however, be displayed to you before any action will be completed or processed so you will know how much you are being charged before each transaction. A complete fee schedule can be found here. There are no fees to deposit cryptocurrencies such a BTC and a flat network fee of 0.001 BTC is charged on withdrawals. Trading fees depend on whether you have traded as a maker or a taker. Maker trades depend on monthly trading volumes ranging from 0.15%, when under 500 BTC, to 0% when over 20 000 BTC has been traded. 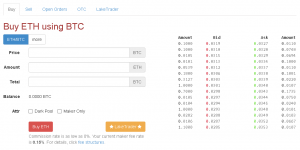 As a taker a flat trading fee of 0.2% is charged by LakeBTC. LakeBTC is quite a private platform if you choose not to trade fiat currencies. This is not the case with all exchanges and will appeal to a lot of people but as we mentioned earlier in this LakeBTC review they can request more information about users if they notice unusual trading patterns or amounts. If you do not want to supply your cell phone number then Google Authenticator for 2FA can be used. In terms of security, LakeBTC uses SSL encryption and do their best to ensure user data and funds are secure. They also strongly recommend 2-factor authentication via Google Authenticator and use SMS confirmation as well. Their servers are maintained in several data centers across the world, specifically in Asia, North America and Europe. This international exchange allows users just about all over the world to buy, sell and trade cryptocurrencies with ease. The range of fiat currencies that they accept is impressive and their fees are competitive although their dynamic fiat fee structure may not appeal to everyone. If you are looking for somewhere to easily trade cryptocurrencies then LakeBTC is a good place to do so as verification isn’t required, their fees are low and the platform caters to both experienced traders and those new to cryptocurrency. Signing up with LakeBTC doesn’t take long and if after reading this LakeBTC review and you think this exchange could suit your needs then give them a try here. 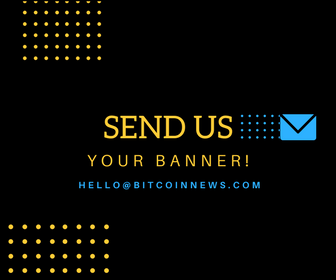 Equally, if you would like to browse some of our other exchange and product reviews, you will find them here. Disclaimer: Bitcoin News does not provide any warranties towards the accuracy of the statements in the above LakeBTC review. Any content on this site should not be relied upon as advice or construed as providing recommendations of any kind. It is your responsibility to perform your own research of the platform. Trading and investing in cryptocurrencies involves considerable risk of loss and is not suitable for every investor. SimpleFX Review: Is it so Simple to Use ?